We are extremely pleased that Bob Hitz has taken the time to organize the blog a bit, by compiling a list of all my posts (you can find a list of Bob’s posts here). For some time now, we’ve been thinking about how to reorganize the blog, so it will be a little more–we hesitate to say this–but a little more coherent. We think that would be nice. We are not sure exactly how to do this, but our thinking involves creating several digital books, using ibooks for authors, that will be uploaded to the Creative Commons, which means they could be downloaded by readers for free. We see the blogs as pieces of bigger stories; the digital books would provide a framework for those bigger stories, hopefully without a whole lot of re-writing. 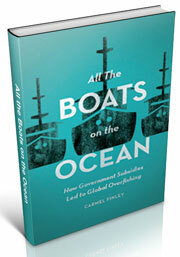 This whole project has to wait until we finish our book, All the Boats on the Ocean, which is about how subsidies to build fishing boats were created, especially after 1945. But in the meantime, thanks to Bob for his trawling (sorry!) and here’s the list of my blog posts, going back to 2009, when this project started. 24 5/12/2012 So, how long did it take for the rosefish to crash? 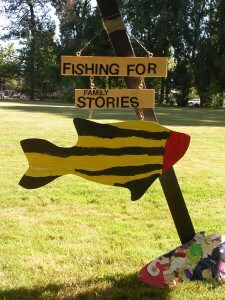 25 5/28/2012 Why am I interested in all this fish history? 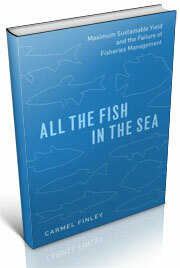 39 2/ 2/2013 An Invitation to collaborate on writing the history of fishing and fisheries science. 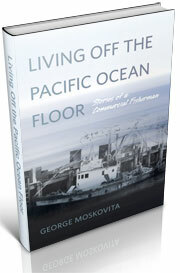 This entry was posted in Environmental History, Fisheries policy, fisheries science, Fishing, History of Science, Marine Policy, Maritime History, Ocean fishing, Oregon pilchards, Overfishing, Pacific Explorer, Pacific Fishing History Project, R/V John N. Cobb, Soviet environmental history, Soviet fishing, Soviet history' and tagged Bob Hitz, California sardines, Carmel Finley, environment, Fisheries Science, groundfish, History of Science, Pacific Explorer, Pacific Fisherman, Pacific Fishery History Project, Pacific Ocean Perch, rosefish, trawling. Bookmark the permalink.